This is the second Chinese New Year since I started my blogging life. I had written a few blog posts on Chinese New Year celebration last year. The posts are "Gong Xi Gong Xi", "Nian Gao 01", "Nian Gao 02", "Seaweed Snack", "Minced Chicken Dried Meat", "Chinese New Year At Jonker Walk" and "Shopping Rush". At present, I am quite busy and hardly had time to blog. The title of this article is "Niu Nian Xing Da Yun" and it means "To be lucky in the Year Of Ox". 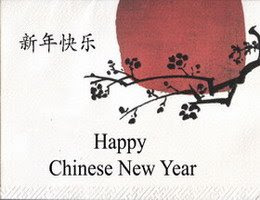 So, I would like to wish all my dearest friends and valued visitors "Niu Nian Xing Da Yun". Happy Chinese New Year to you too..